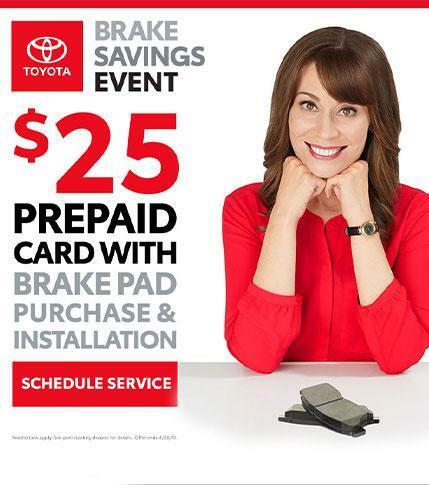 Hi there from all of us here at Waite Toyota! We know that when you're looking to change your vehicle or have important work done on your current one, you don’t just want a dealership, you want the right dealership. 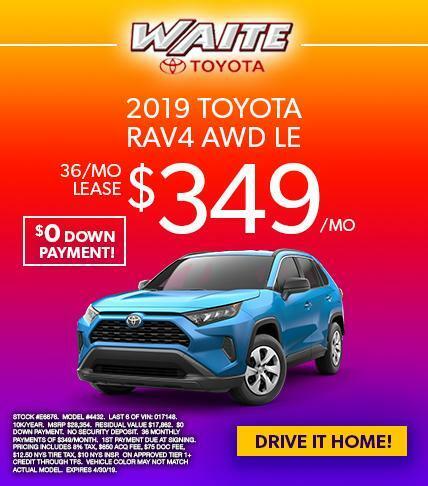 Well, in Watertown, Evans Mills, and Calcium, NY, Waite Toyota is that dealership. Our experienced, knowledgeable and friendly team isn't just here to meet your expectations; they're here to exceed them. 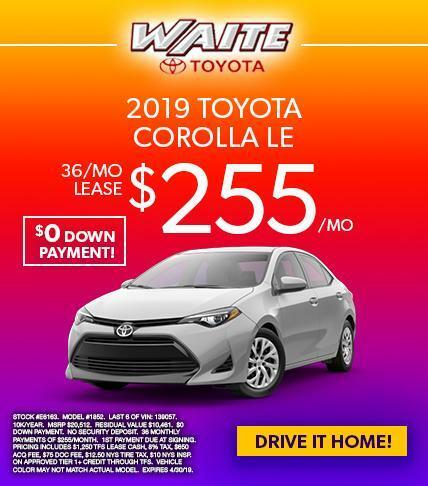 When you visit us here at Waite Toyota, you'll find a recently expanded and renovated facility that's ready and waiting to serve all your automotive needs. Whether you're looking to buy a new or quality pre-owned vehicle, get your car serviced or repaired, or to buy genuine Toyota parts to work on a project yourself, we've got it covered. You'll find us open six days a week at times designed to be convenient for you, but before you get down here, don’t forget to check out the rest of our website where you can browse our new and used inventory, find out about our latest offers, or even request a trade-in value for your current vehicle. 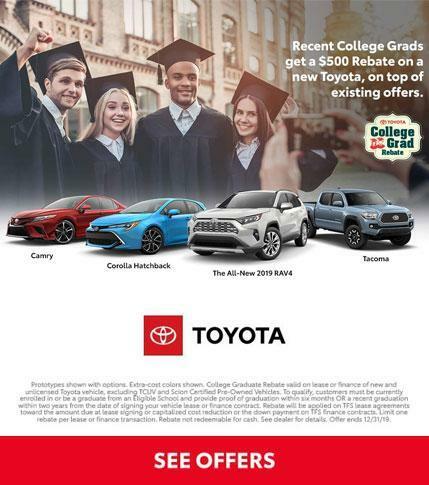 Our extensive inventory of new cars is ready for you to view online, and you'll find there's a fantastic selection of all the latest Toyota models to choose from. 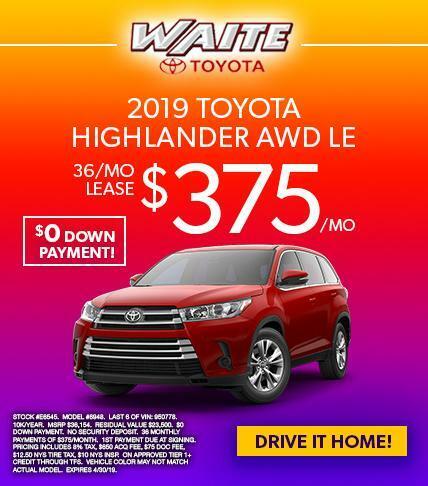 Whether you're shopping for a nippy little Yaris, a large, comfortable Toyota Highlander, a fuel-efficient hybrid or anything else, you'll find it right here at Waite Toyota. But as well as being able to search our current inventory, there's also a helpful section where full details and specifications of current and recent Toyota models are displayed to help you decide which one is likely to be most suitable for you. 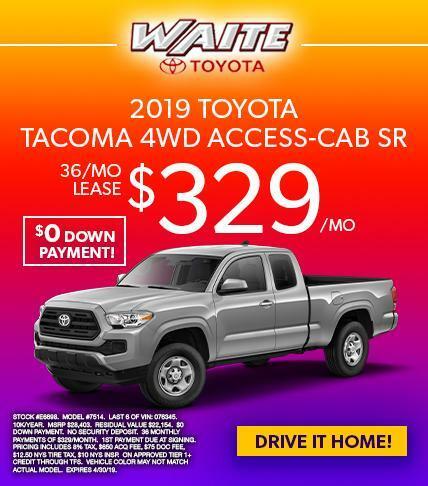 So, if you want to know what standard features you get in a Corolla or what the towing capacities are for a four-wheel drive Tundra pickup, it's all there for you at the click of a mouse. If a brand new vehicle isn't what you're looking for, we also carry an impressive range of high-quality pre-owned and Toyota Certified used vehicles as well. Along with being able to get all the important details of each of our used vehicles, our website also shows extensive galleries of internal and external images of each vehicle too. So, it's the next best thing to coming down and seeing them for yourself. Of course, seeing and reading about them is one thing but driving them is something else, so don’t hesitate to contact one of our team members through the Contact Us section of the website to arrange a test drive in the vehicle or vehicles of your choice. 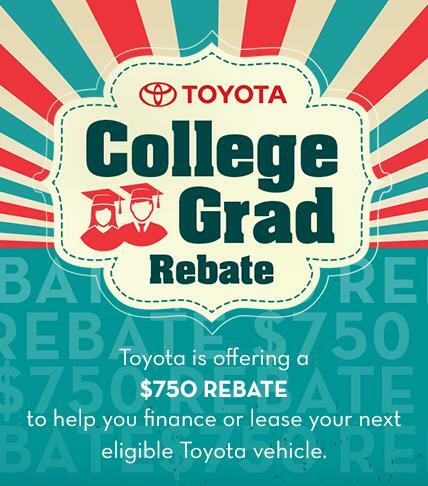 Our finance experts are also here to help you find the right option for funding your next car, whether it's a brand new or pre-owned Yaris, Corolla, Camry, RAV4, Prius, Highlander, Tacoma or any other model we have for sale. You don’t even have to worry about your credit history holding you back either, as we can help you to get the right credit for the vehicle you want. We even have helpful first-time-buyer programs for anyone who currently has no credit established. Even if others have tried and failed on your behalf, we're committed to helping where others can't. To make things even easier, we've provided a facility on our website for you to be able to make an online credit application, or for an immediate review, please don’t hesitate to get in touch with our experts. 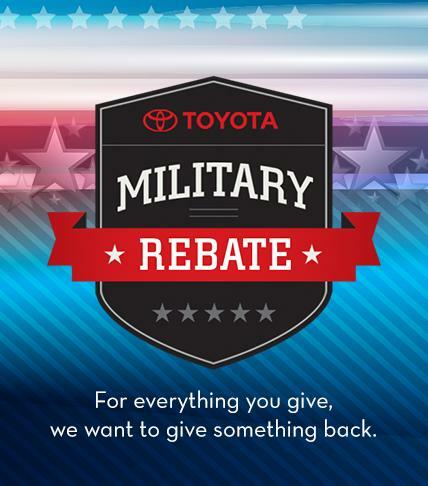 Of course, buying a new or used Toyota is only the start of our relationship and our commitment to you and your vehicle. We know how important it is for you to have a place you can trust when it comes to maintaining and repairing your vehicle, and our service and parts departments are committed to delivering the level of service and excellence you expect and deserve. 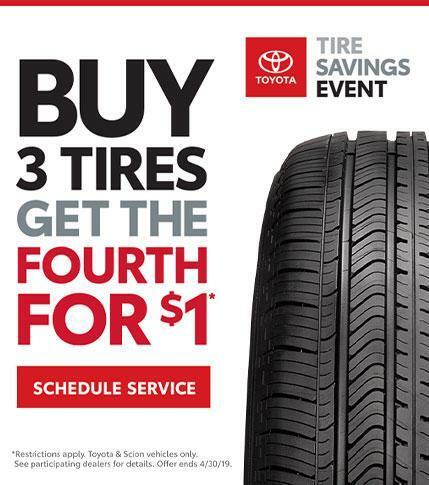 By using Waite Toyota for all of your servicing and maintenance needs, you can rest assured your car is in the very best of hands. 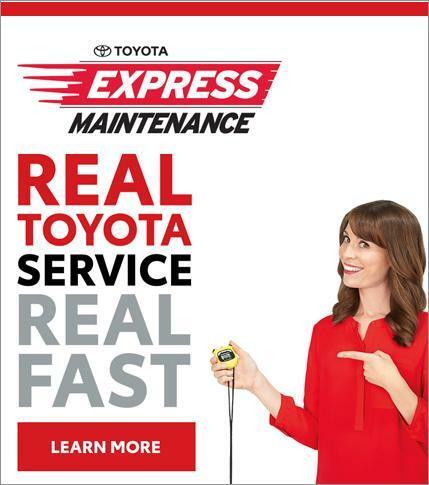 Our team of Toyota Certified technicians has a state-of-the-art facility and all the latest, up-to-date equipment and training at their disposal to take the very best care of your vehicle. And as well as supplying our service department with all the genuine Toyota parts they need to keep our customers' vehicles in top condition, our parts department is also able to supply you with whatever Toyota parts you need if you'd like to do the job yourself. Remember, no job is too big or too small, and you can schedule an appointment by calling our friendly, helpful service advisers or by using the online form.